I was looking for a place to have a simple and quick meal when I found Ah Shun Siew Char Food Stall tucked in the middle of Desa Aman Puri Food Court. This food court used to be packed with patrons when it first opened a few years back but now business is kind of slow. I guess there are too many food stalls in this area and the competition must have been really stiff. 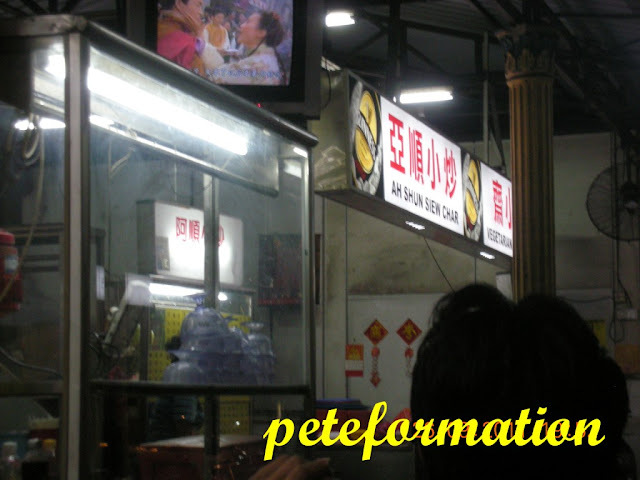 I noticed that Ah Shun stall has a steady stream of diners coming in. Ah Shun offers quite a wide range of vegetable which is displayed in small basket. I ordered leeks fried with roast pork which is very tasty and fried to perfection. The Roast Pork is delicious too. There are not many places offering leek vegetable. So far, I think this is the first stall that I came across having leek in the menu. Fu Yong eggs, a little burnt at the side but tasted ok! Sorry lah, half eaten then only remember to take photo! LOL! The total bill for three person plus rice came up to be RM16.50! A really good price for a simple but tasty dinner! simple cheap and nice are good words! looks delicious! Em... I think I'll have difficulty finding this place. Not familiar with Kepong area. 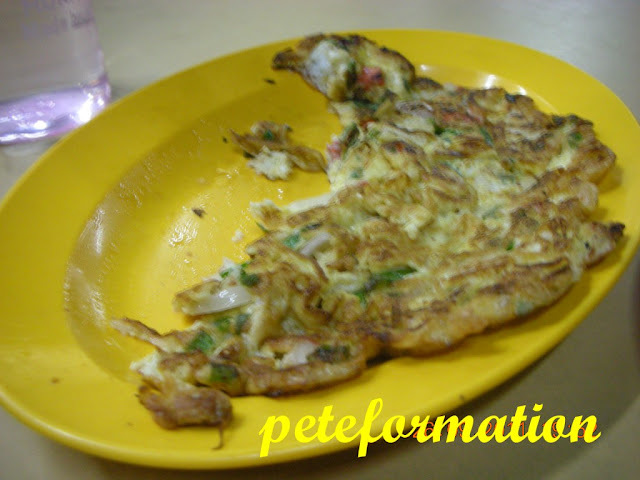 Though the photos looked abit blurry, I still got attracted, especially the fu yong eggs! 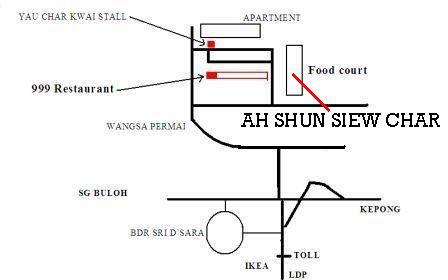 This one very near to the shop we had curry mee once? delicious cheap food.. must try! hehe. Eat so little kah? So cheap...no need to complain burnt sikit. LOL!!! STP : Can stay slim lah.....lol!